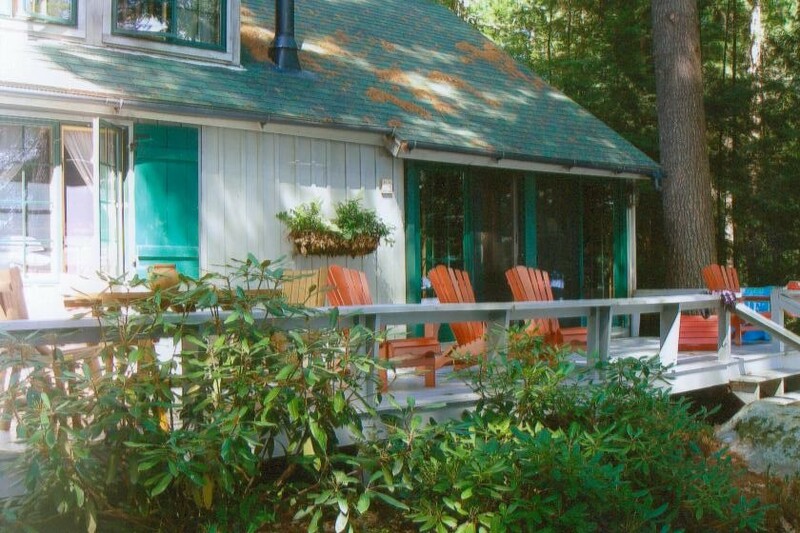 The main cabin has a knotty-pine interior, cathedral ceiling in the living room with 'Adirondack style' furnishings and wood stove, and two bedrooms downstairs (one with a queen sized bed and one with twin beds). 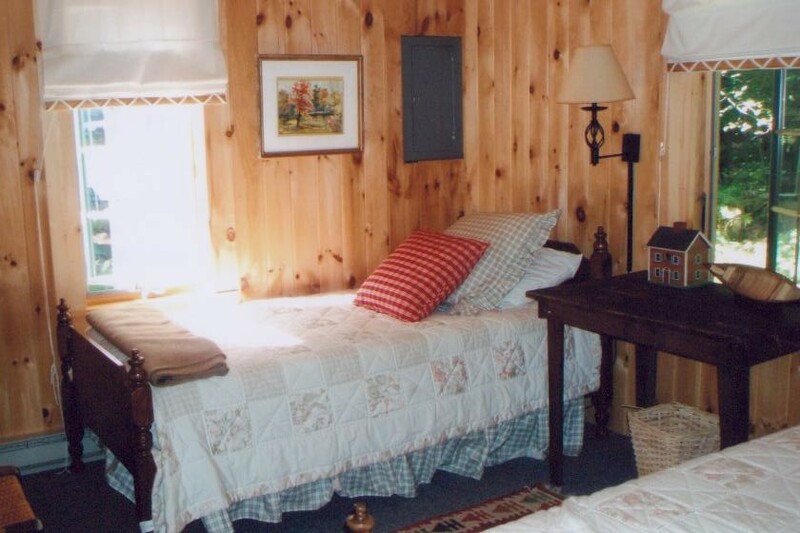 Upstairs is a large room with generous dormers on both sides, accommodating four log beds. 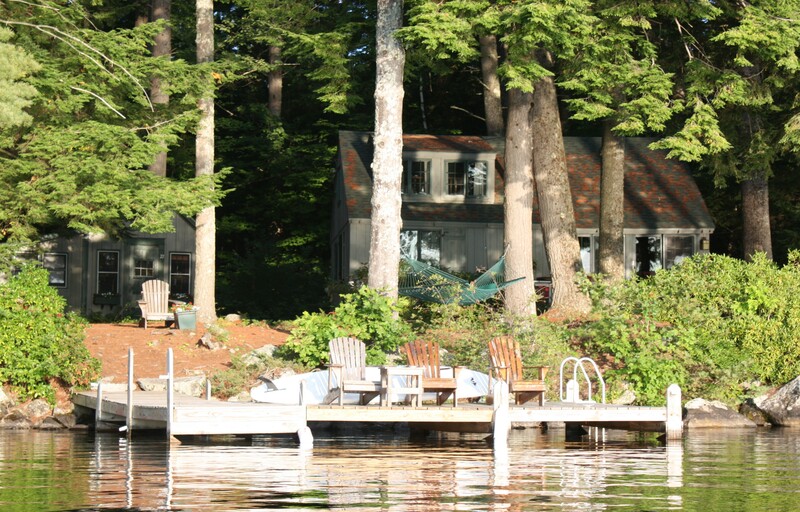 A large open deck across the front of the cabin offers a beautiful view of the lake and several small islands. The small cabin is cozy, well-appointed and features a small living room, bedroom with twin beds and a half-bath. 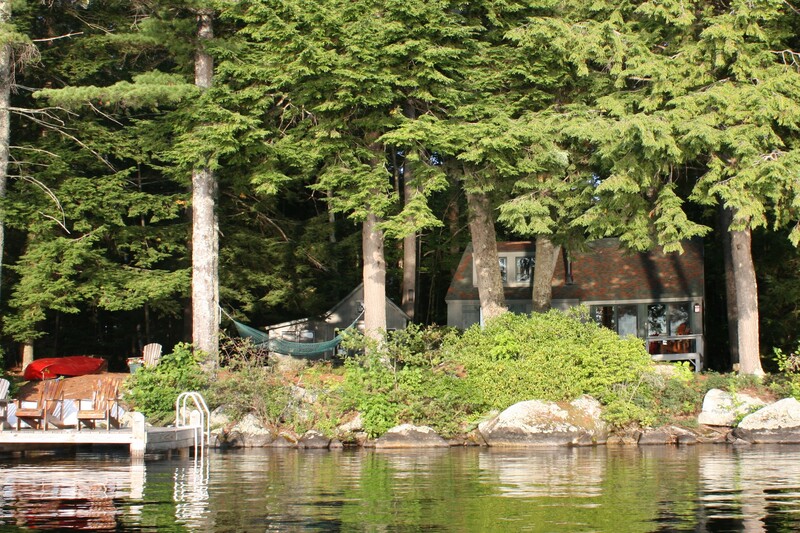 The cabin has a large dock, plenty of comfortable outdoor furniture and features the use of a canoe and a small kayak.